This week a friend is suffering from gout. He's the kind of man who usually looks to a medical doctor (and a pill) rather than his own actions and energies for help, but since this hurts, he decided to look a little farther. Then, because Feel5ive has helped him through some rough days, he asked me about Bach Flower Remedies. We started with Louise Hay's book, Heal Your Body, and saw that gout is a symptom of "The need to dominate, impatience, and anger." This made sense, knowing my friend's personality and knowing the things going on in his life. He holds some anger from the past, but it is intensified by some unpleasant current events - which he's helpless to change. After a bit of research on the Bach Flowers website, he decided on a blend of Holly, Cherry Plum, Wild Rose, and Impatins. Now - if he'll just remember to use it and to do the mental work of trying to become at peace with himself and others... that gout shouldn't stand a chance. If you'd rather let our experts help you find your blend, just visit FeelBach! and fill out the questionnaire. 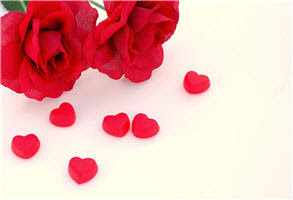 Do you look toward Valentine's Day with love - or resentment? 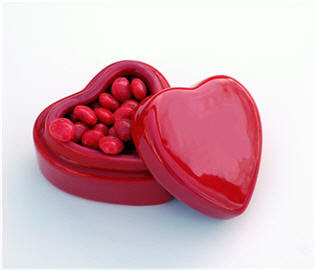 Do the heart shaped boxes of chocolates and the greeting cards add to your feelings of happiness? Or do you think it's all a bunch of bunk and you wish it would go away. If instead of love you're feeling hate or resentment, it's time for the Bach Flower Essence Holly. All of us are born wanting and needing love. But sometimes things happen along the way. For some reason, we're denied, and resentments begin to fester. Before long, we become so unlovable that our chances diminish. A person in a negative Holly state is suspicious of a kind word - wondering about ulterior motives. He or she rejects those who truly do care about them. And while they may feel and say that they're only being sensible - seeing the world as it really is - they aren't happy. The reality is this: The soul quality of Holly is one we all strive for, whether consciously or unconsciously. If you've become overwhelmed with resentments, jealousies, or anger - help yourself out of it. 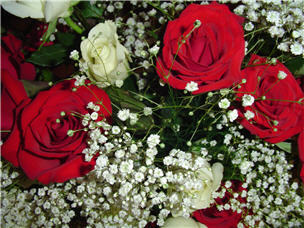 Go to feelbach.com and order the Bach Flower Essence Holly. Then use it until you can see the good in the world around you.